Often referred to as “The Queen of instruments” in the classical music of South India, (also known as Karnatik music), the Saraswati veena is one of very few ancient instruments to have retained its exalted position in modern times. A large, plucked and fretted lute, it is one of India’s oldest musical instruments dating back to at least 1500 BC with the earliest visual representations depicting a variety of veenas in the ancient temple sculptures of South India. 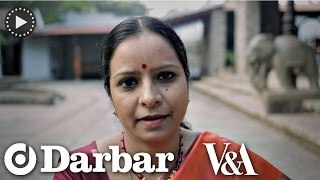 The Vedic scriptures – particularly the Sama Veda, which is specifically about music – have also singled out the instrument while both the famous Hindu epics, The Ramayana as well as The Mahabharata contain direct references to the veena. The prefix Saraswati – the name of the Hindu goddess of learning – has further elevated the instrument by adding a divine sanction: it said to be the preferred instrument of the Goddess herself and within Hindu iconography Saraswati is always depicted holding the veena. 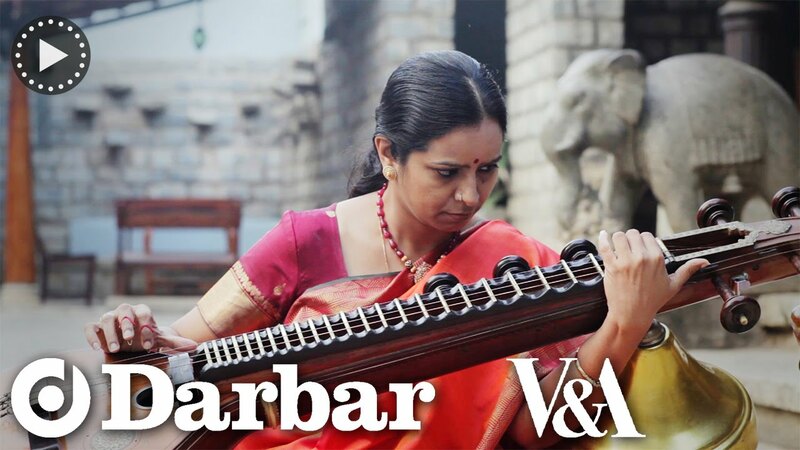 The main distinguishing factor between veenas in North and South India is that while the south’s Saraswati veena is definitely a descendant of an early lute, the rudra and vichitra veenas of the North are, technically speaking, related to zithers. Also, unlike its northern counterpart which only figures in pure classical music, the veena of South India is used for classical as well as contemporary pop and film music. Although its North Indian counterpart, the rudra veena is now becoming extremely rare in North Indian classical music, the Saraswati veena remains a very high-profile solo instrument in South India, where it is sometimes also referred to as the ragunatha veena, named after the 17th Century Tamil Nadu King Ragunatha Nayak, (r.1600-1624), himself a veena player and composer and considered to be the greatest ruler of the area known as Thanjavur. It was during his reign and under his patronage that Thanjavur, (formerly known as Tanjore, in the Indian state of Tamil Nadu,) emerged as a major centre for the arts, particularly music and dance. The veena was mainly only played in the temples and at royal courts before appearing on the public concert stage. 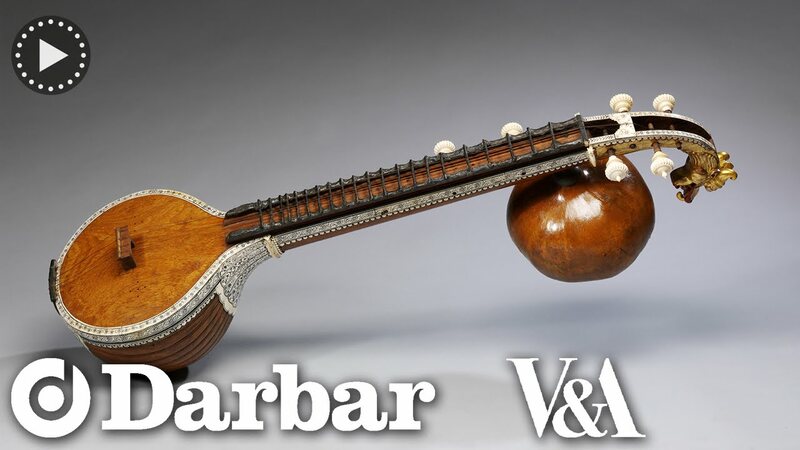 In the period before the western violin was introduced into South India with great success, the veena often served as melodic accompaniment for classical vocalists. The Saraswati veena is about four feet in length, consisting of a large resonator carved and hollowed out of a single log of jackwood, a tapering hollow neck topped with 24 brass or bell-metal frets and a tuning box ending in a curved slope which is topped off with an ornamental dragon's head. (In earlier times the frets had been movable but they gradually evolved into being fixed in the 17th Century, during the time of King Raghunatha Nayak of Thanjavur.) The main bridge is a flat bar made of brass, ending in a slight curvature which gives the veena its distinctive sound. Metal strings are held in place by pegs attached to the curved end. There are four main playing strings and three drone strings made of metal. The current design and engineering of the veena is exceptional in that it fulfils every requirement for a complete classical solo recital. While the main playing strings can produce every raag (or melodic structures for improvisation in Indian classical music), across a range of octaves, the drone strings not only help to maintain the pitch but also aid in sustaining a rhythmic beat. The sarasvati veena is played by sitting cross-legged with the instrument held at an angle and slightly away from the player. The small gourd on the left rests on the player's left thigh, with the left arm passing beneath the neck and bringing the hand curving up over it so that the fingers can rest upon the frets. The palm of the right hand rests on the edge of the top plank with the index and middle fingers plucking the strings. The drone strings are played using the little finger. As with the North Indian sitar, the left hand manipulates the frets with controlled pushing on the strings to produce higher-pitched tones and slides through increased tension. The veena's large resonator rests on the floor, just near the player’s right thigh. Until the early 20th Century, the Saraswati veena was played by being held vertically, at an angle, against the musician’s left shoulder. In the last six decades or so, the instrument has undergone some major changes both, in the way it is held as well as in its manufacture and playing technique, given the advent of sound amplification as well as a growing demand for portability as musicians, now often travelling thousands of miles from home, need to transport a more compact version of this ancient instrument with ease. Gourd, wood, ivory and lac. Painted and gilded with six ivory pegs and metal wire strings. Steel frets set into wax beds. South India, with ivory decoration possibly from Vizagapatam, Andhra Pradesh, 1870-90. Given by Rajah Sir Sourindro Mohun Tagore. A similar instrument is mentioned in Charles Russell Day, The Music and Musical Instruments of Southern India and the Deccan (London and New York: Novello, Ewer and Co; London: Adam and Charles Black, 1891), pp. 169-173 and plate II, pp. 111-116. Unlike many other ancient instruments that gradually declined with the onset of the modern age, the Saraswati Veena continued to go from strength to strength and by the turn of the 20th Century had become the number one instrument of South India and, unlike in the North, the veena was much in demand for both classical as well as contemporary music. This increased demand led to more aspiring musicians choosing to study the veena with the desire to excel among ever-growing numbers of veena exponents in the South. The ability to play the veena competently soon became a kind of barometer for the musicians of South India as it was said that if one could play the veena then one could easily play any other instrument. The veena flourished equally in five different musical regions of South India. In the state of Andhra Pradesh, there were two different styles of veena with two differing playing techniques which were successful for well over a century. Elsewhere, the Mysore school based in Karnataka, was equally successful. Both these regions had enjoyed considerable royal patronage for classical music and one of the specialities of both the Andhra and Mysore schools was the actual playing technique which lasted well into the 20th Century, whereby performers would hold the instrument upright. Gradually, over the decades, this technique gave way to holding the instrument horizontally. Both the Mysore and Andhra traditions of veena produced some very outstanding maestros. The rulers of Mysore (which was a Kingdom until 1950), were extremely generous patrons of music and some of the best musicians of the land were employed in their court where the instrument gradually evolved its own style. It often became customary for exponents to take the word “veena” (or “veene”) as a pre-fix to their real name. Some outstanding 19th and 20th Century maestros of veena belong to the Mysore school, including, Veene Sheshanna,(1852 – 1926), Veena Subbanna,(1861 – c.1937) and Veena Doraiswamy Iyengar (1920 – 1997). The historic and culturally rich Thanjavur district in Tamil Nadu was another important centre of veena, and one which originated the practice of holding the instrument more horizontally as the emphasis in this style was on developing very slow, melodic phrases which would gradually be played in an increased tempo demanding great musical virtuosity from the performer. One of South India’s greatest composers based here, Muthuswamy Dikshitar, also composed on the Veena. A great number of outstanding 20th Century exponents of veena emerged from Thanjavur, including the brilliant female maestro Veena Dhanammal, (1880 – 1938). Unlike North India, the South had no issues with women playing the veena – or any other instrument – and nearly every era in South Indian classical music has produced some very accomplished female musicians. She was from a community of traditional performers also known as ‘Devadasis’ and was widely considered the “queen of the Thanjavur style of veena” given her complete mastery over the instrument. In the post-1947/independence era, the Thanjavur style became synonymous with the name Sundaram Balachander, (1927 – 1990), and also known as “Veena Balachander”, the veena’s most brilliant exponent and one who gained fame beyond anything his predecessors could have imagined. A self-taught child prodigy, his extraordinary ability on the instrument led many to conclude that he was the last of the 20th Century maestros of this style. Most unusually for a South Indian musician, he also had substantial knowledge of, and interest in North Indian (or Hindustani) classical music and played Karnatik music on the North Indian sitar as well as being a keen follower of western classical music. Currently, there are two women-maestros who have a very high profile as exponents of the saraswati veena: Dr. Jayanthi Kumaresh, (who studied the Thanjavur style with Balachander) and Echampati Gayathri (also known as “Veena Gayathri”, a child prodigy, born 1959).